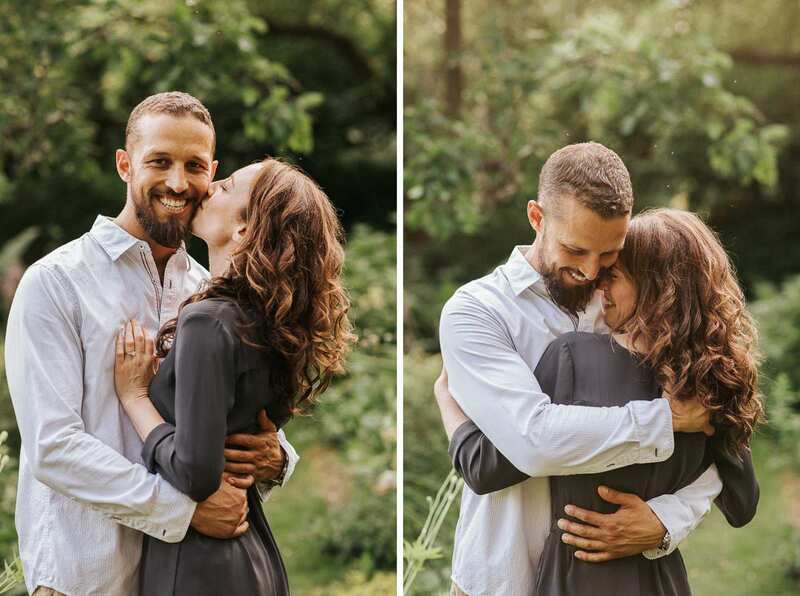 A summary of engagement photos from another beautiful engagement session we photographed at Willowwood Arboretum in Far Hills, NJ of Michelle and Jon. Beyond the perfect natural scenery, we had the couple’s beloved Jeep as an awesome prop in one of the fields. of the park. We had a blast photographing this afternoon and hope you enjoy looking through the photos below. 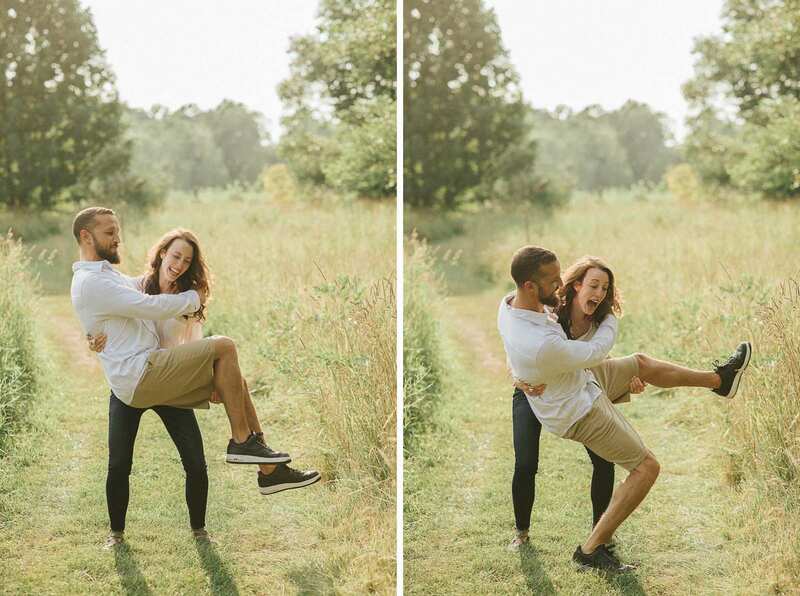 They are just a few of a our favorites of everything we captured before we photograph their wedding later this year! And finally, jumped with the Jeep! 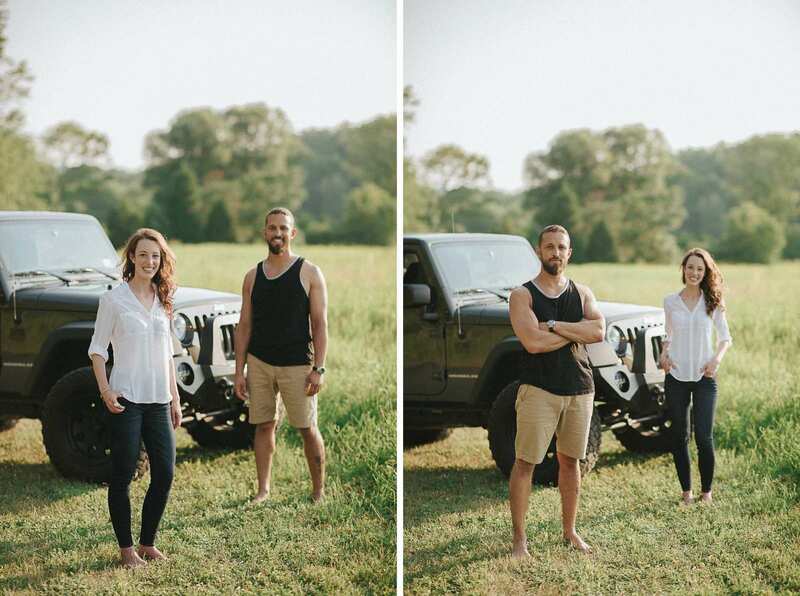 We were completely unaware that they planned to bring the Jeep along to the engagement session and that it played an important part in their relationship, but were totally glad that they sprung it on us. The field we found just up the road was the perfect place to capture beautiful photos with it. After all of the engagement photos with the Jeep, we made our way into the rest of the park on foot amongst the fields of wild grasses. We took a second for a perfect dip under a hand made wooden arch! Jon was beyond a natural at this move. We found this awesome and rustic greenhouse attached to one of houses which was the original owner of the property. They eventually donated the land to Morris County Parks where it was preserved as Willowwood Arboretum. A couple of close ups of the engaged couple lovingly embracing! Although this was just a garden shed, the wooden siding and perfect landscaping of flowers transformed it into the perfect photo backdrop! This bench was big enough to fit a family of five, but Michelle and Jon still got a bit cuddly sitting on it! We captured this photo right as the sun was setting over the trees and perfectly back lighting the couple and illuminating their hair! With that really awesome greenhouse attached to the garden shed in the background! In a field, we found a couple of Adirondack chairs set up perfectly to relax on. And to smile at each other from while taking a break from all the closeness! Though Jon could pick her up with ease, Michelle had a bit more trouble with him. It was an absolutely A+ effort though and she only sort of dropped him! A walk hand in hand through the natural fields of wild grass that surround the main parts of Willowwood arboretum at the end of the session. We love to make use of every part of a location to capture a variety of photos during every wedding day and engagement session. We can’t wait for the wedding day to come so that we can photograph the pair again at David’s Country Inn!